When it comes to classifying Elvis’ movies, the public tends to think of them as thirteen to a dozen since they all seemed to follow the same (easy money-making) pattern. The movies (especially the 20 movies he did in the short span of 7 years between 1963 and 1969) appeared to lack any form of artistic value and they could have easily been the product of The Elvis Presley Movie Assembly Line. One of the most heard complaints from Elvis’ movie-fans is that his pictures did not have a good script, and what can you (or Elvis) do when the script is bad to begin with? 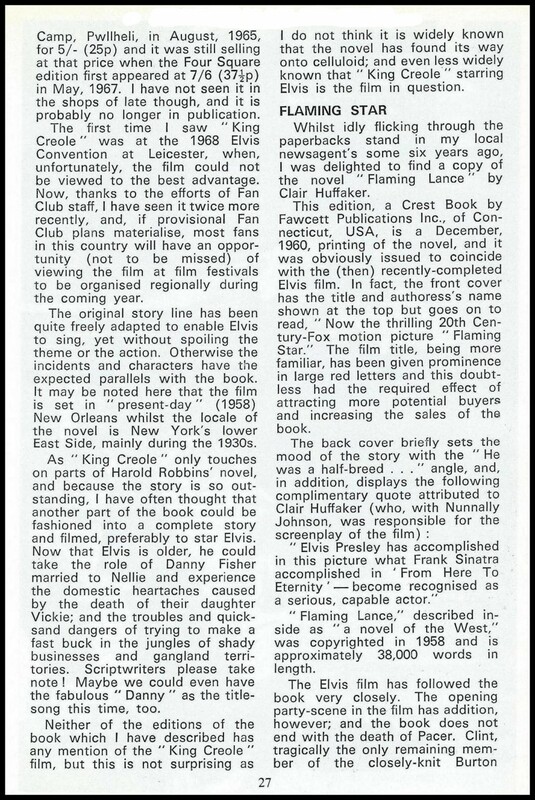 It would probably surprise a lot of people (especially the general public), that quite a few of Elvis’ movies were based on an already existing story or book, almost a third of the 31 titles he eventually did, to be exact. So I think it’s fair to assume there actually was some sort of artistic thought process behind (at least) some of his movies. And all of these books were bestsellers when they were first published. “But they still managed to mess it up …”. 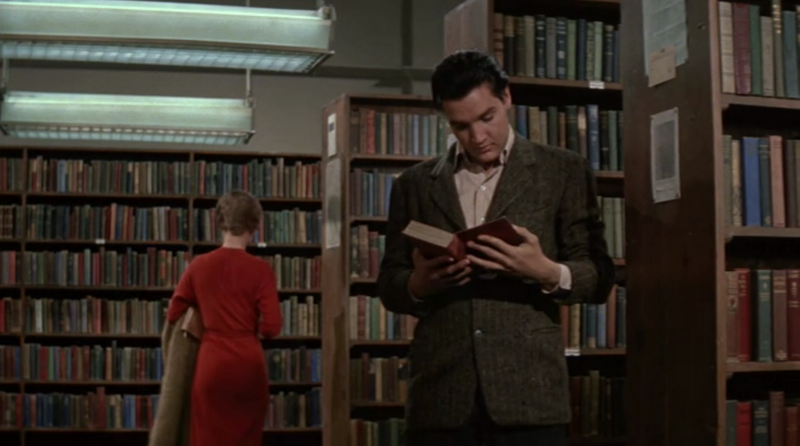 In this article we will take a look at the books that served as the basis for a movie starring Elvis Presley. First we have the original 1-sheet movieposter, accompanied by a screenshot from the movie that includes the reference to the book it is based on. Next we will show an image of the cover of the first edition of every publication. Followed by additional images of any further editions that are worth mentioning (for different reasons). Reading feeds the soul. Enjoy! 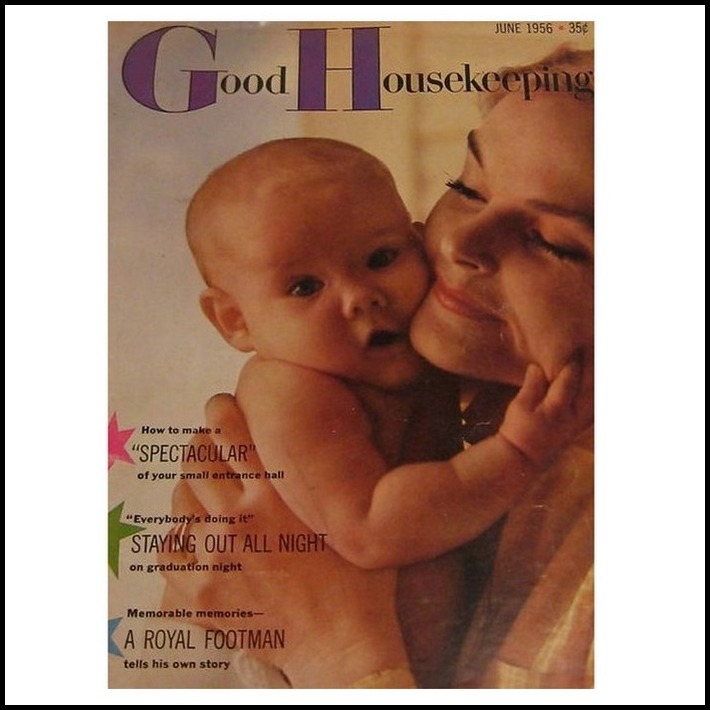 Loving You was based on a short story by Mary Agnes Thompson that had appeared in the June 1956 issue of Good Housekeeping. The story was about a singer, by the name of Lonesome Harris, who became an overnight sensation singing for Tex Warner And His Red River Ramblers. Producer Hal Wallis had bought the rights of this story with Elvis in mind. 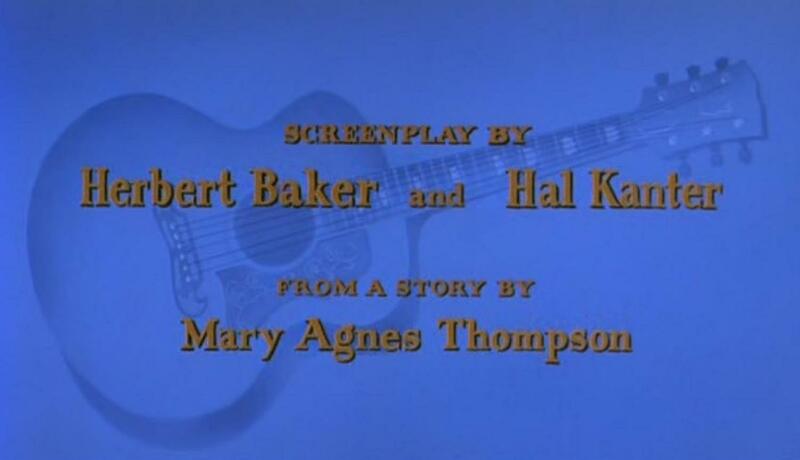 Director and co-writer Hal Kanter, witnessed Elvis perform on the Hayride, and he was so captured with the effect Elvis had on his audience, that he wanted to bring this magnetism to the big screen. I think it’s fair to assume he succeeded perfectly in doing this. 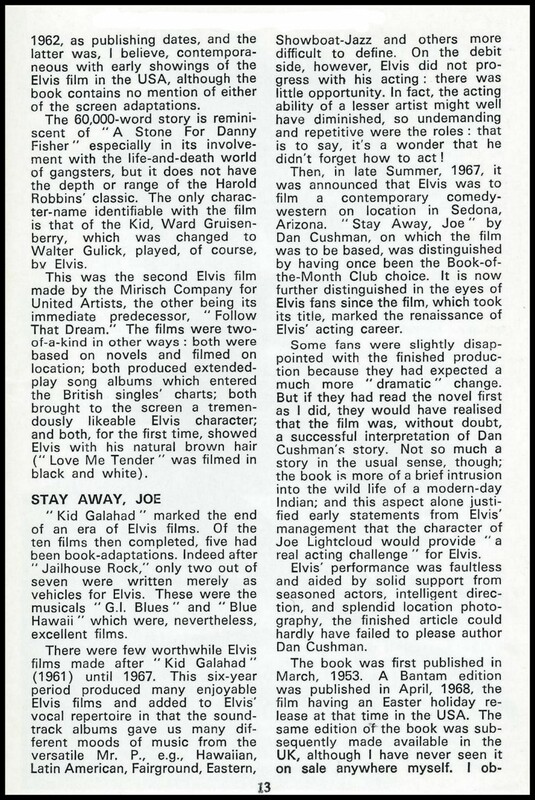 Kanter worked with Elvis a second time when he wrote the script for Blue Hawaii. 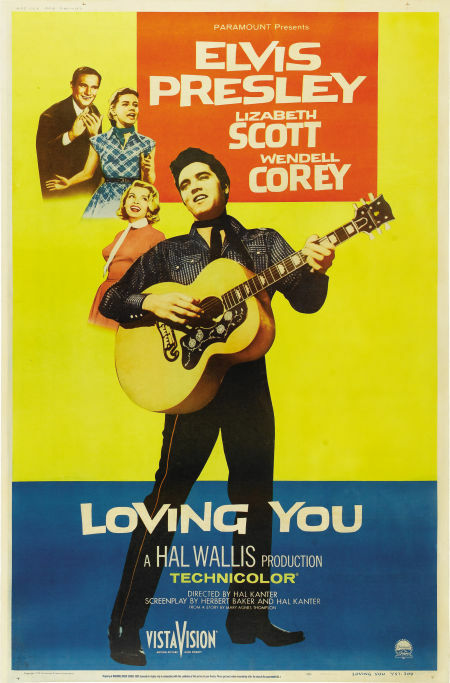 Loving You was Elvis’ first movie to be based on an already existing story. It was also his first movie in color and the first for which he received top-billing (something that would continue from here on throughout his moviecareer). To the right we can see the cover of the monthly magazine in question, from June 1956. 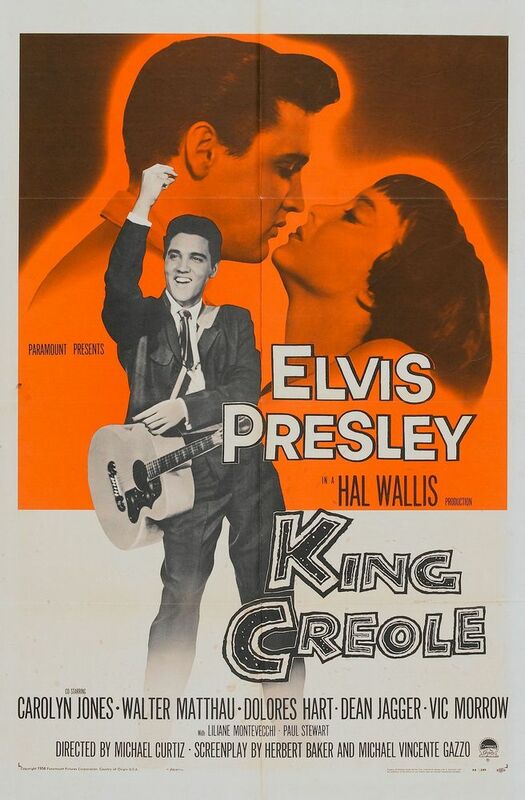 King Creole was the first Elvis Presley movie to be based on a book. The rights for the book were obtained with James Dean in mind for the role of Danny Fisher. To the right we have the first edition hardcover, from 1952. Below we can see the first edition paperback (from 1953) to the left. While on the right we can see the front and back of an early 60’s paperback reprint. 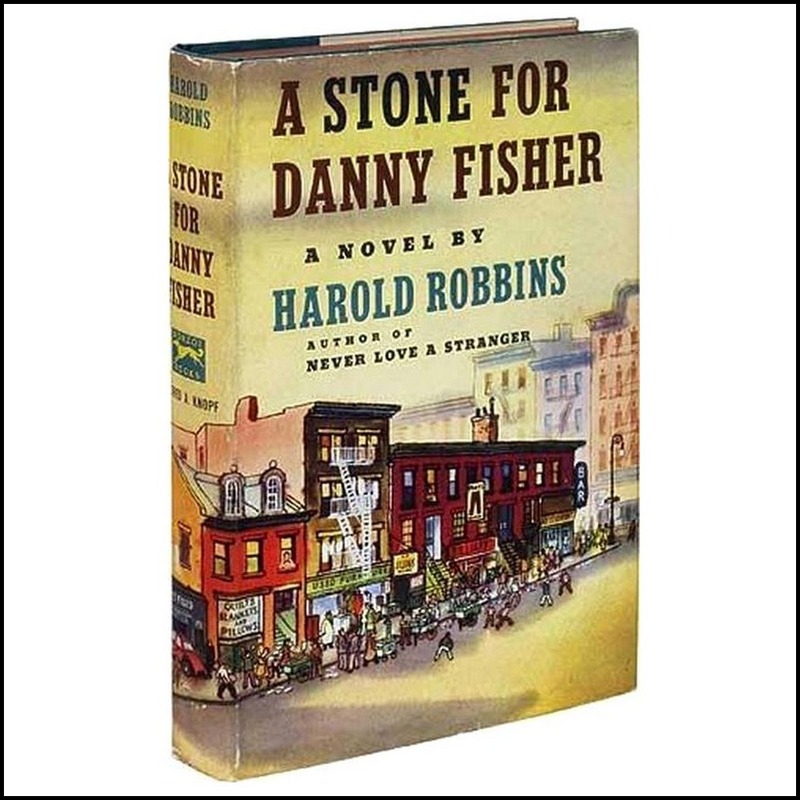 The backcover tells us that in the book Danny Fisher was a boxer (not a singer) and the story was set on the backstreets of New York City (and not in New Orleans). 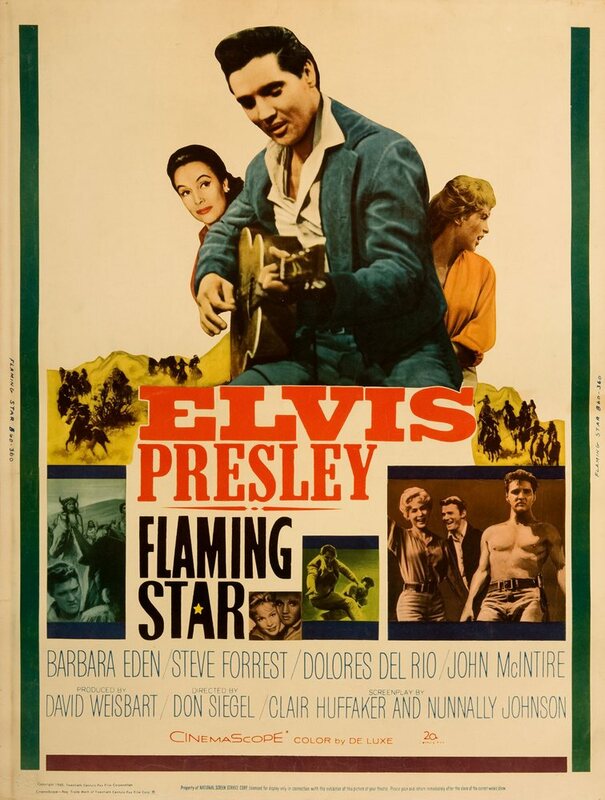 Flaming Star was the second Presley movie to be based on a book, and the first (of only two) movies for which the author was involved in the writing of the screenplay. 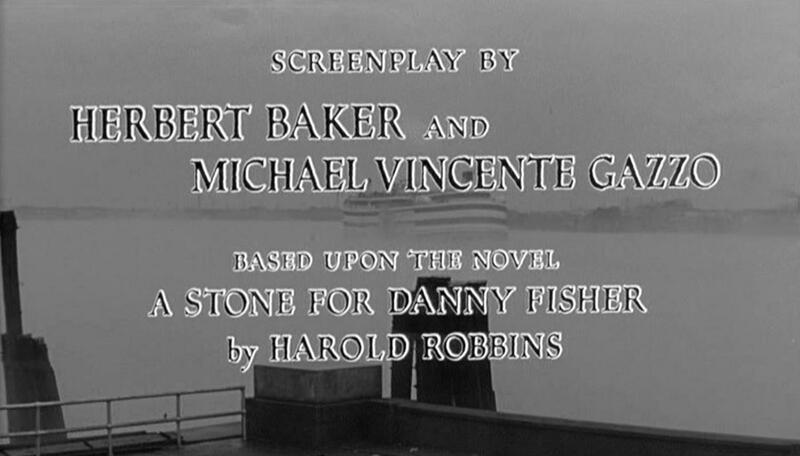 Fox had bought the rights of the book (in 1958) while it was not yet completed. At that time the working title was The Brothers Of Broken Lance. 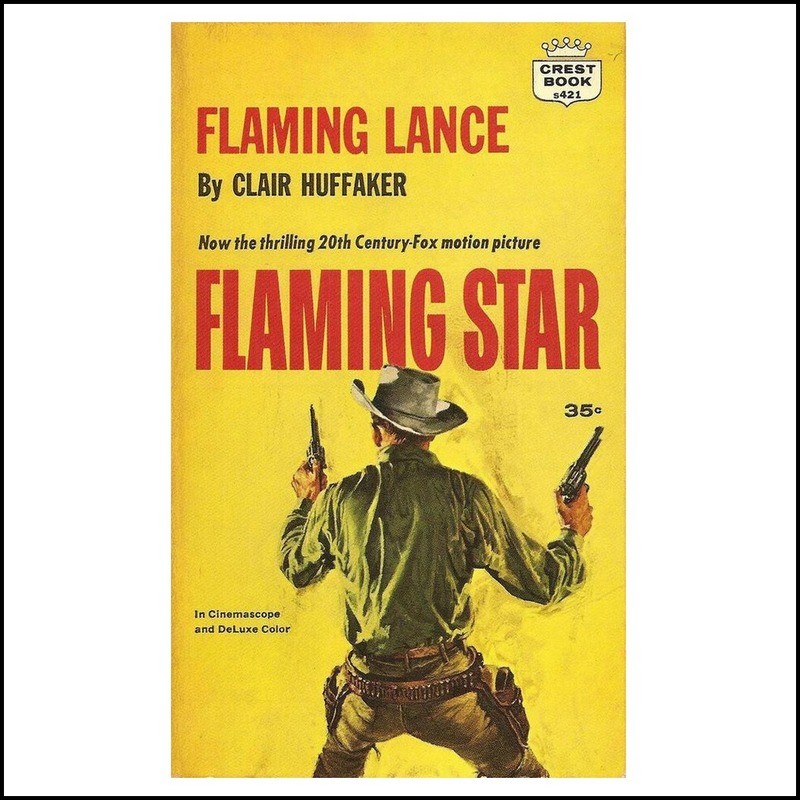 Later the official title of the book became Flaming Lance. Fox intended the story for an upcoming Marlon Brando and Frank Sinatra movie, but this was not to be. Eventually Elvis Presley and Steve Forrest were hired for the lead roles instead. To the right we have the first edition hardcover, from 1958. 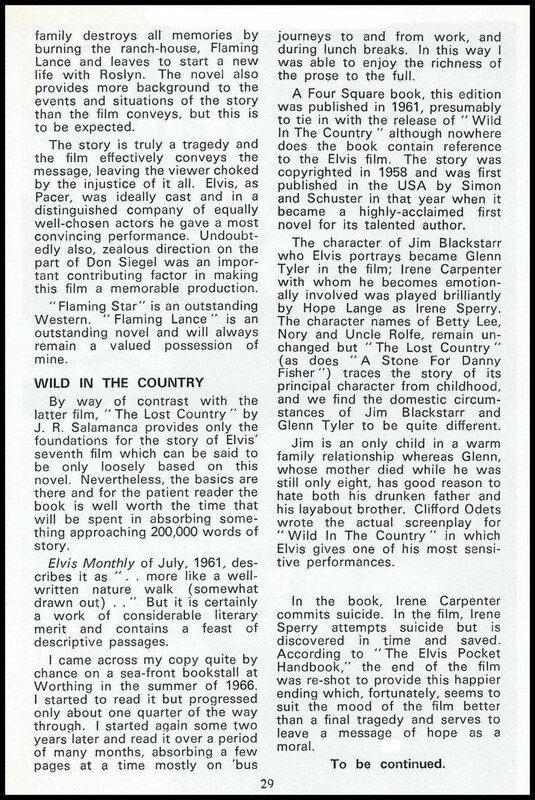 Below the cover of a paperback edition (from 1960) that carried a loud reference to the movie (even though Elvis’ name does not get a mention). And below to the right we see a later paperback edition for which the title of the movie has completely replaced the original title of the book. 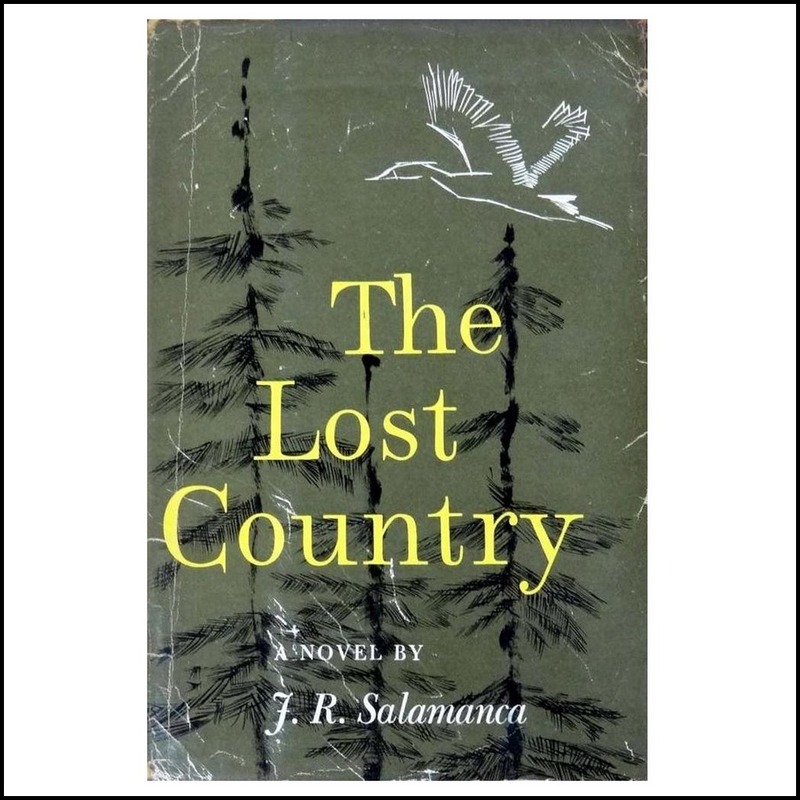 Wild In The Country was based on Salamanca’s first novel, The Lost Country. 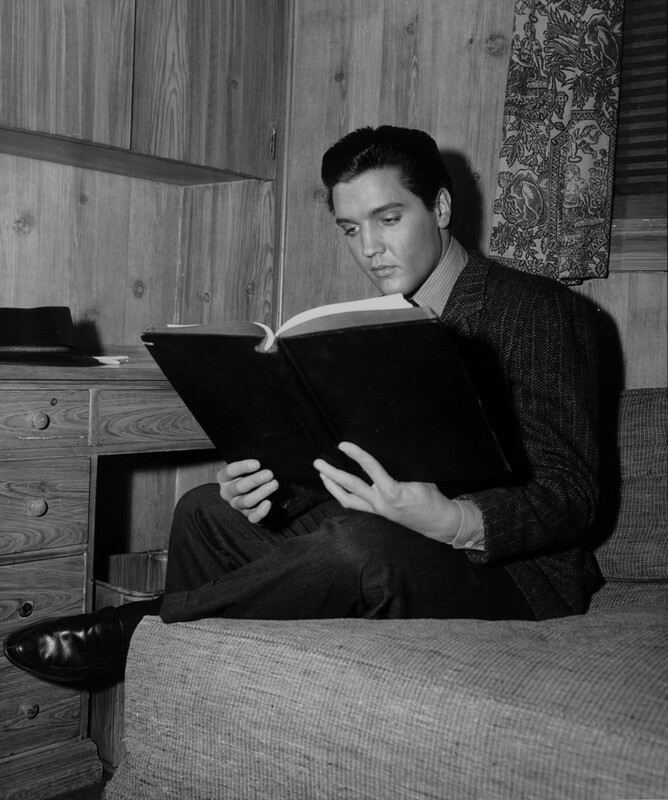 The book was written in 1958, and a screenplay version was sent to Elvis while he was still in Germany. 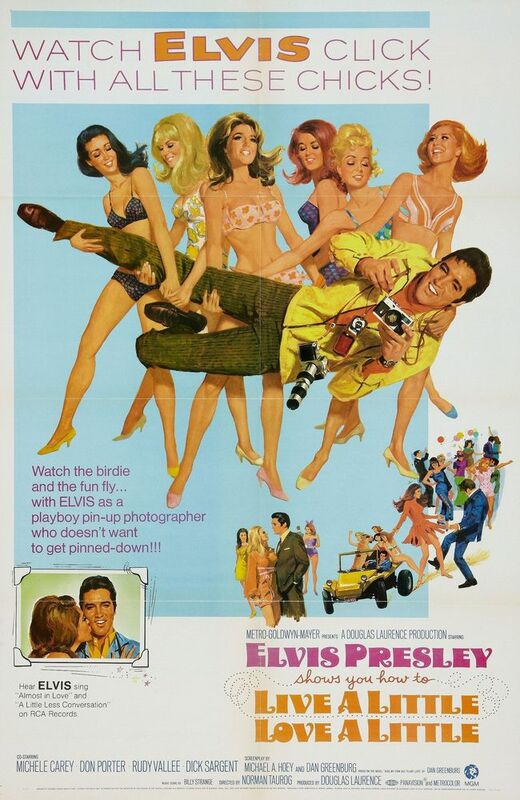 Apparently Elvis was immediately excited to do this movie. 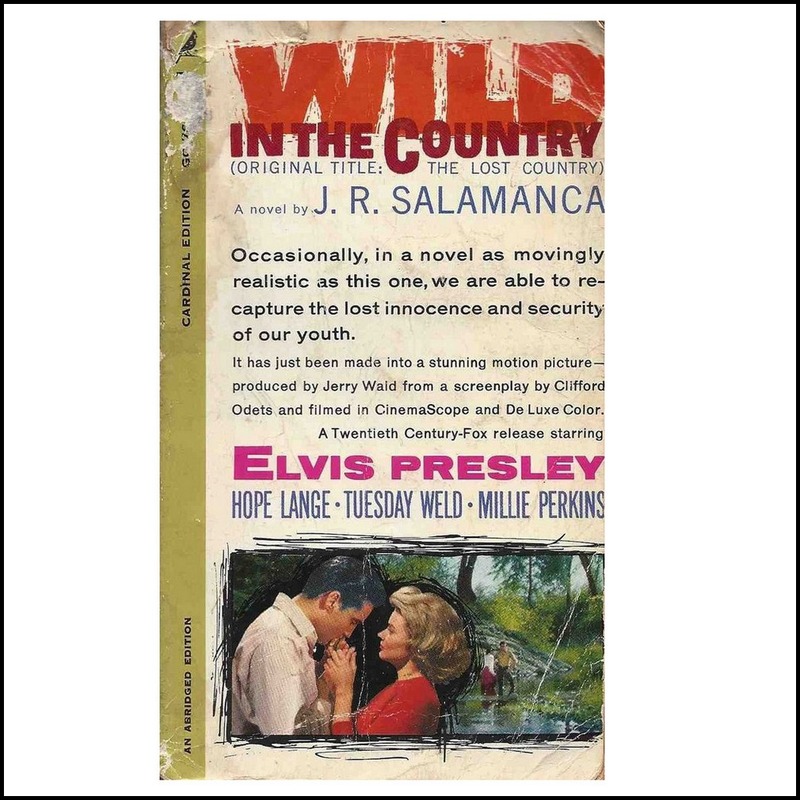 Some changes were made when the book was turned into a screenplay: Elvis’ character became a writer (in the book he was an artist), and Hope Lange’s character turned from a teacher to a psychologist. 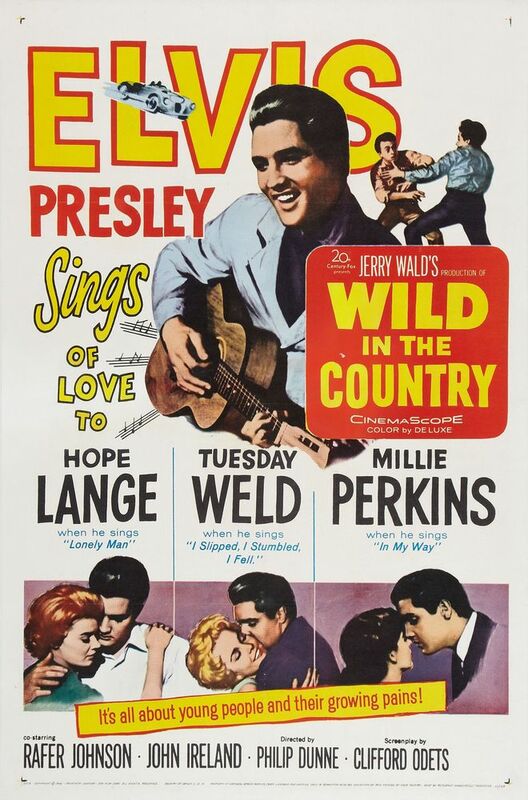 Wild In The Country was Elvis’ third and final movie for 20th Century Fox. The other two titles were Love Me Tender and Flaming Star. These three movies for Fox (together with King Creole for Paramount) are generally considered as Elvis’ most serious roles. 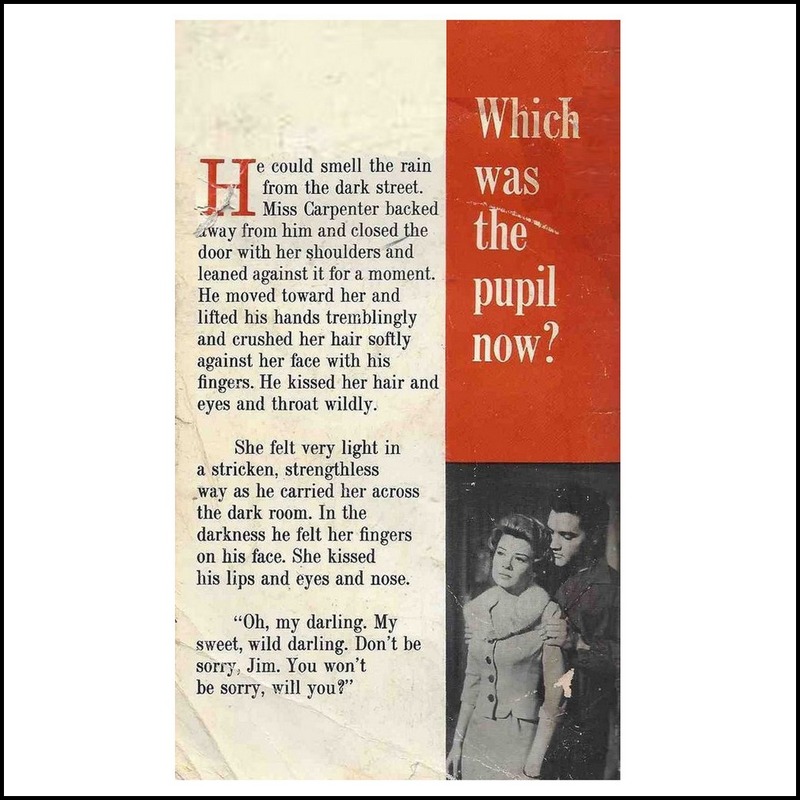 Below we see the front- and backcover of the 1961 paperback edition that was published to coincide with the release of the movie. 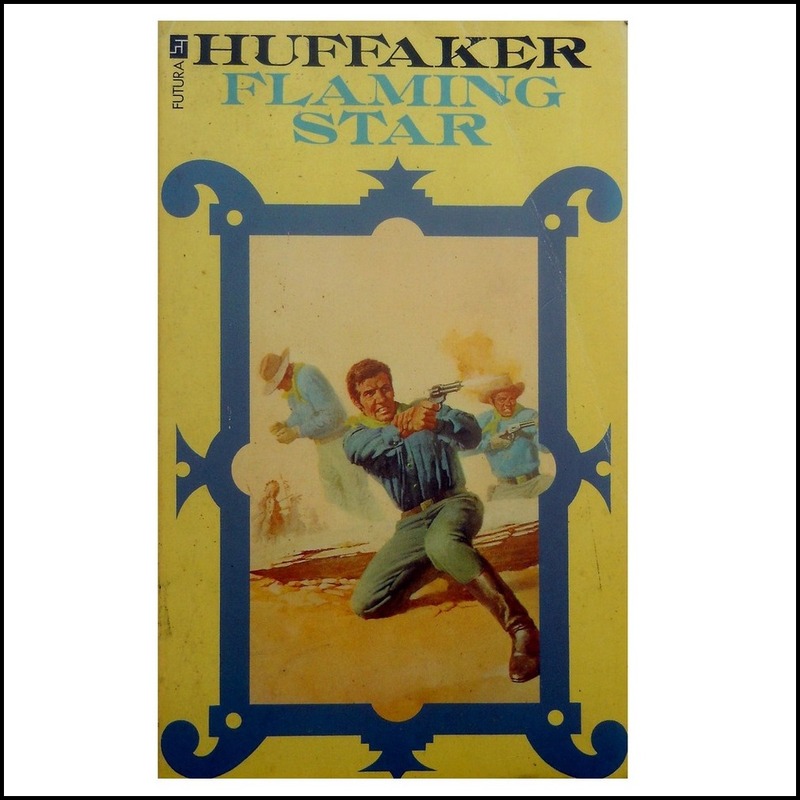 This novel was the first to feature a photo of Elvis. 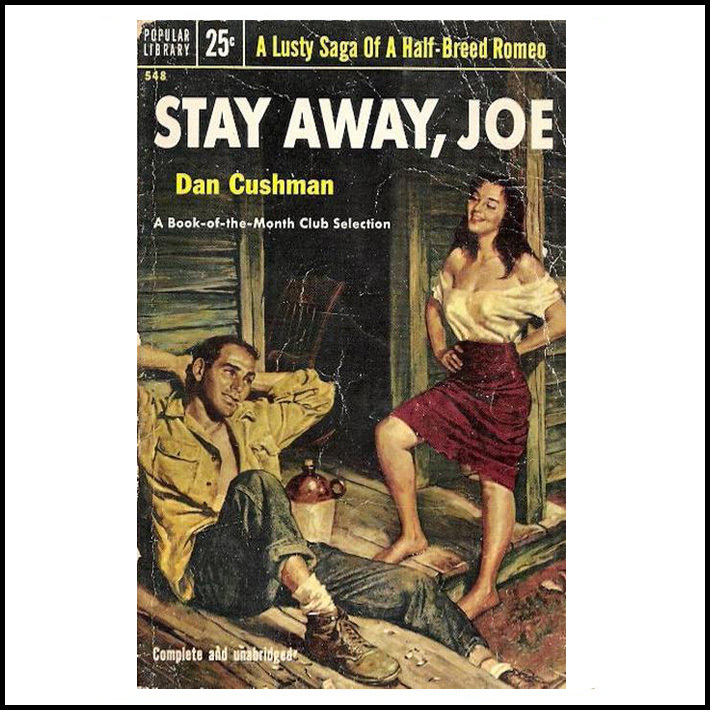 Dan Cushman’s story was first published in 1953 by Viking Press. 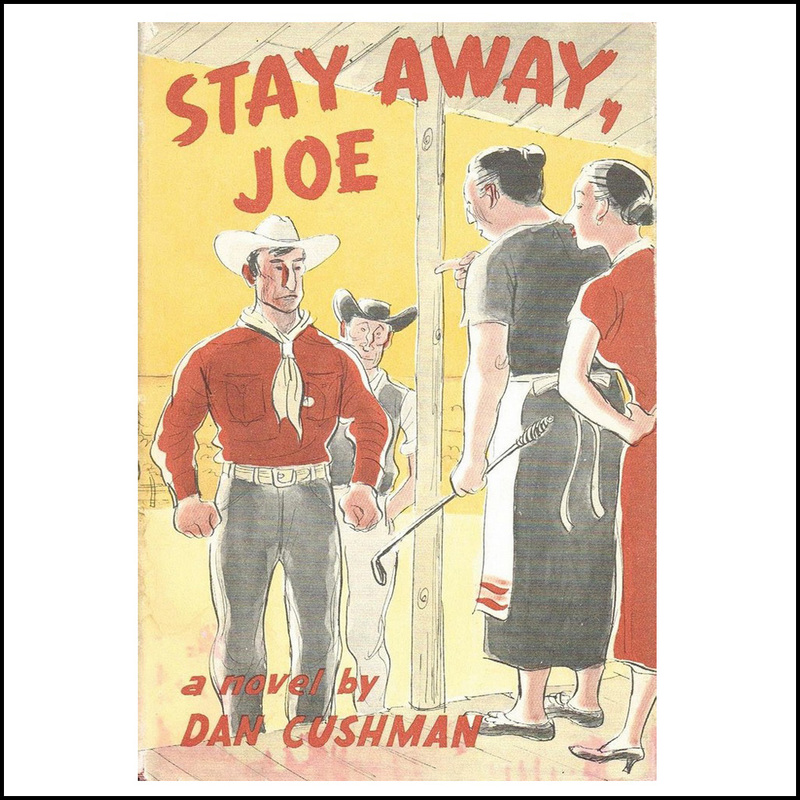 The book centers around a Native American Indian who returns to the Montana Indian Reservation. 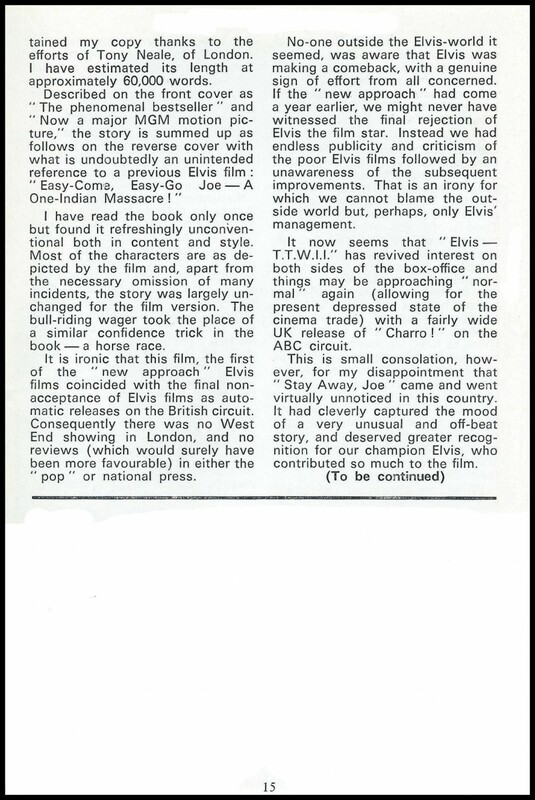 When MGM bought the rights to the book they immediately had Elvis in mind for the lead role, mainly because Elvis had been complaining about the shallow storylines of his movies (something which had also led to the break-up with Hall Wallis in 1967): Elvis found himself in need of more serious (and less singing) roles. 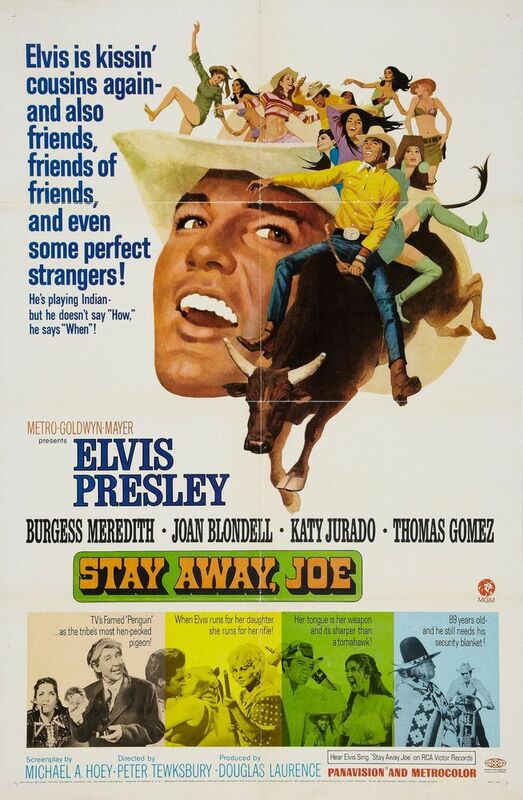 Eventually Stay Away, Joe, was the first Elvis-movie since 1961 that did not produce a soundtrack LP or even an EP. To the right we have the first edition hardcover, from 1953, and below to the left we see the paperback edition from 1954. 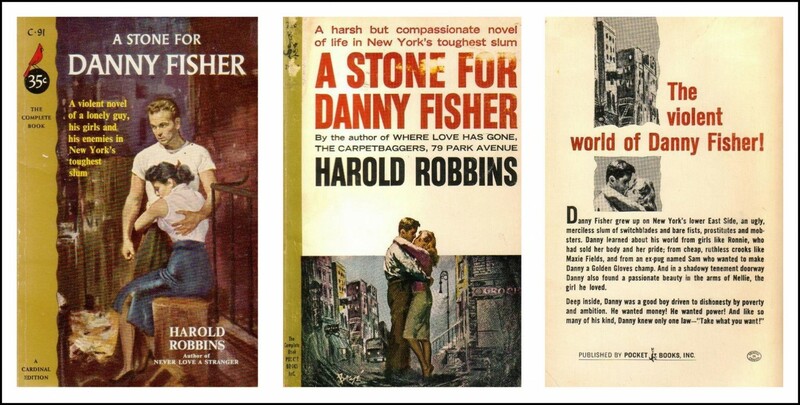 Below to the right the 1968 paperback edition that coincided with the movie-release. It’s interesting to note that the cover includes the reference “Now a major MGM motion picture” while there is no mention of Elvis Presley. 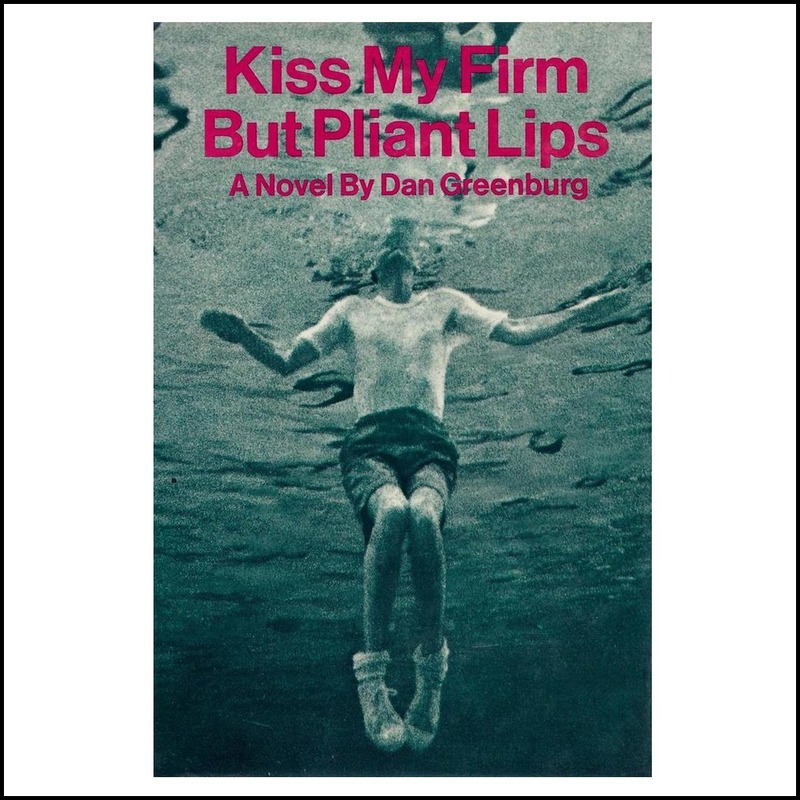 Published in 1965, Dan Greenburg’s Kiss My Firm But Pliant Lips is the story of a painter, named Oliver Bloom, who gets caught in the love games of an atractive young woman. MGM bought the movie-rights in 1967 and turned it into Live A Little, Love A Little. Oliver Bloom (Elvis’ character) became Greg Nolan, and his profession turned from painter to photographer. This is the second (and last) time that the author of the book got involved with developing the screenplay for the movie. To the right we have the first edition hardcover, from 1965. Charro! is the only book based on an Elvis movie. Written by Harry Whitington (a genuine pulp fiction writer with over 200 titles to his credit) and published in 1969, the book had developed from the original story of Frederick Louis Fox. Director Charles Marquis Warren eventually only used parts of Fox’s story since many of the scenes were considered much too violent. But in the book the violence is all there. To the right we have the first edition paperback, from 1969. Notice the reference “Now an Epic Motion Picture”. 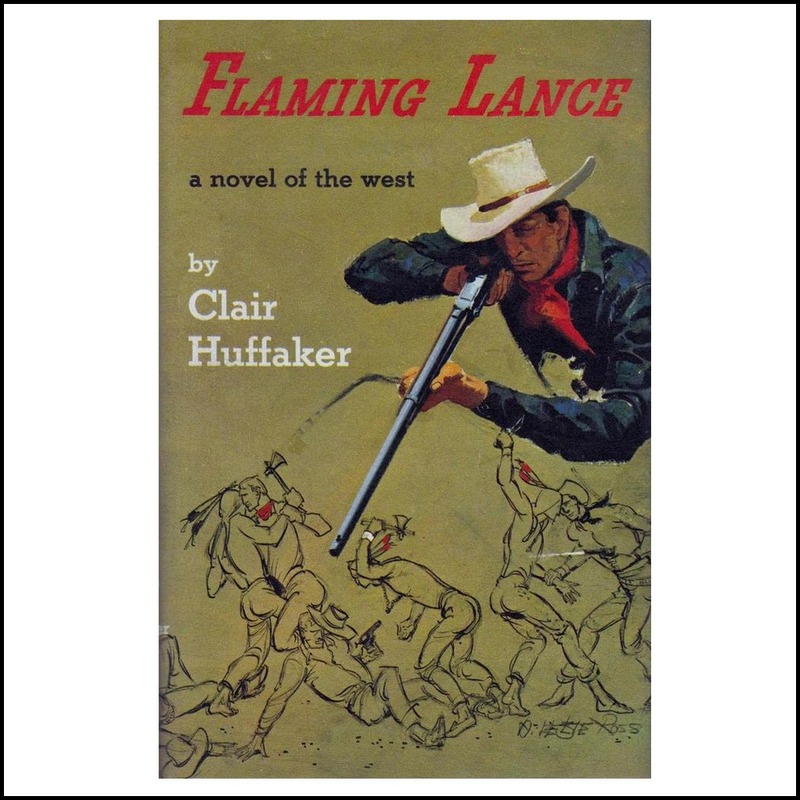 Below we can see that the cover chosen for the first edition US paperback was used for a different western title in Germany. We can also see the German edition of Charro! (published in 1969). 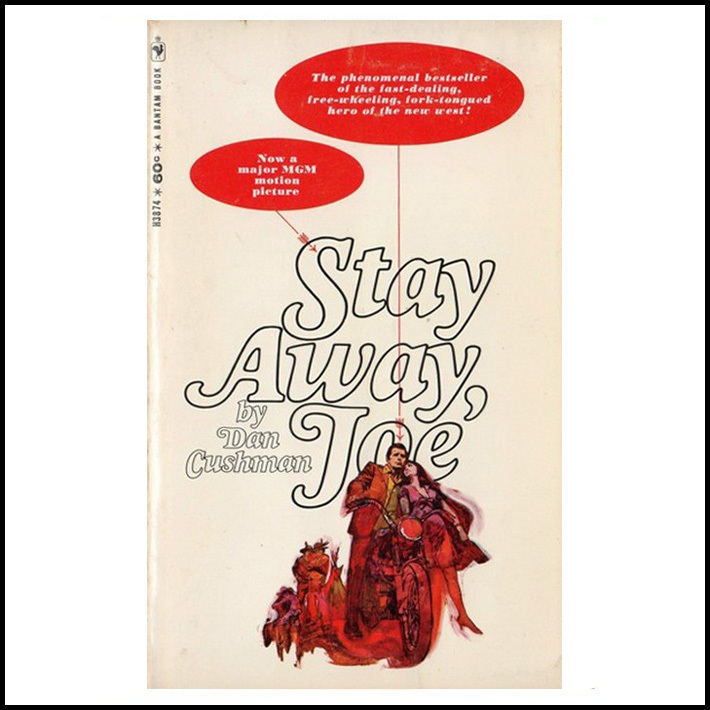 The third cover is an early 70’s US edition of the paperback. 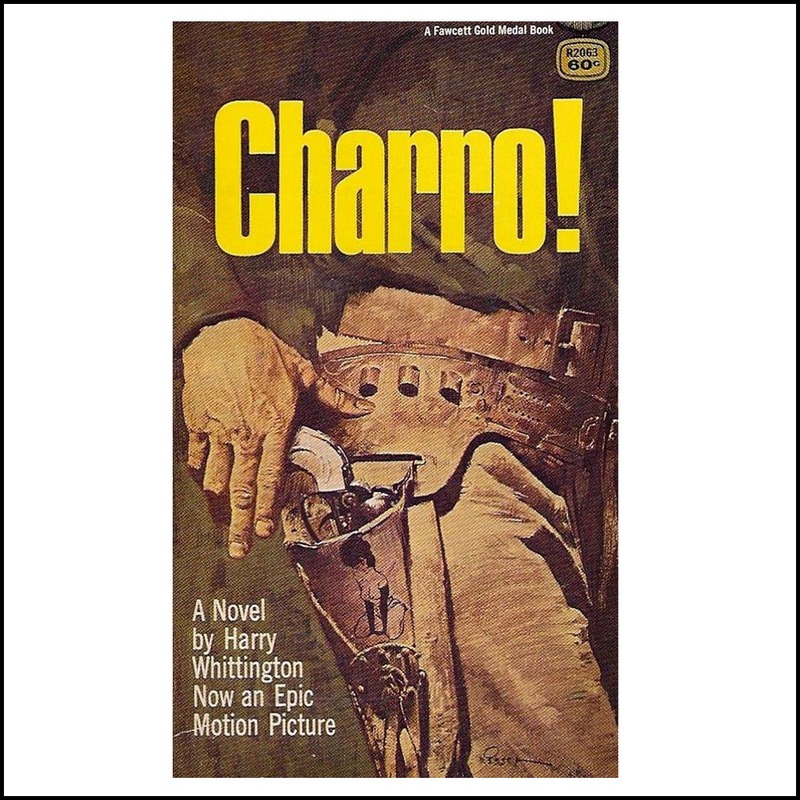 And the last image is the cover of a 1971 publication of Charro! from Finland. Shortly after this topic went online on Echoes (in 2014), we learned that STEVE MORSE had already written the definitive story on the subject through a three piece article that was published in ELVIS MONTHLY in 1972. 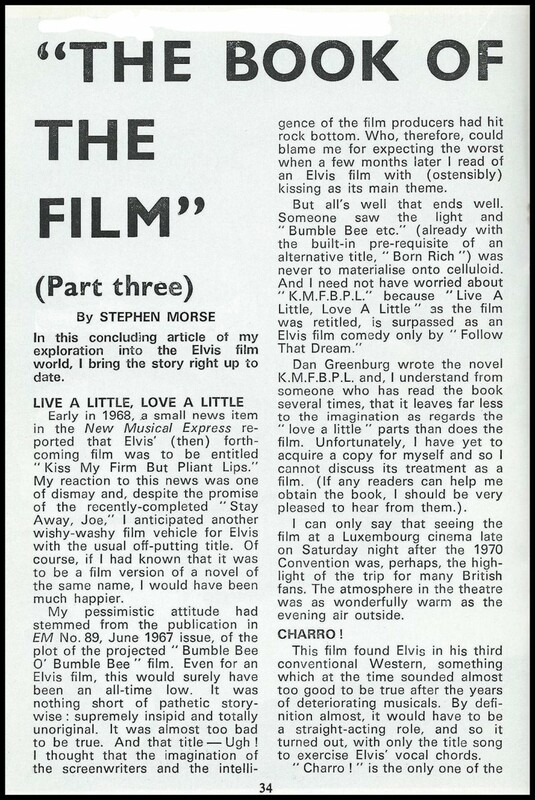 Steve’s 9-page article appeared in three subsequent editions of Elvis Monthly (in January, February and March) in 1972. At our request, Steve was kind enough to scan the original article and share his very well researched findings with us. All credits for the Monthly articles and the scans, and our sincere thanks and appreciation, go out to Steve Morse! I´m hoping this topic receives a lot of views, the topic really deserves it. And Bob you really surprised me with all the covers. The movie was based on the real life story of the Reno Brothers, who became notorious in American history by doing the first train robbery in peace time (after the civil war). 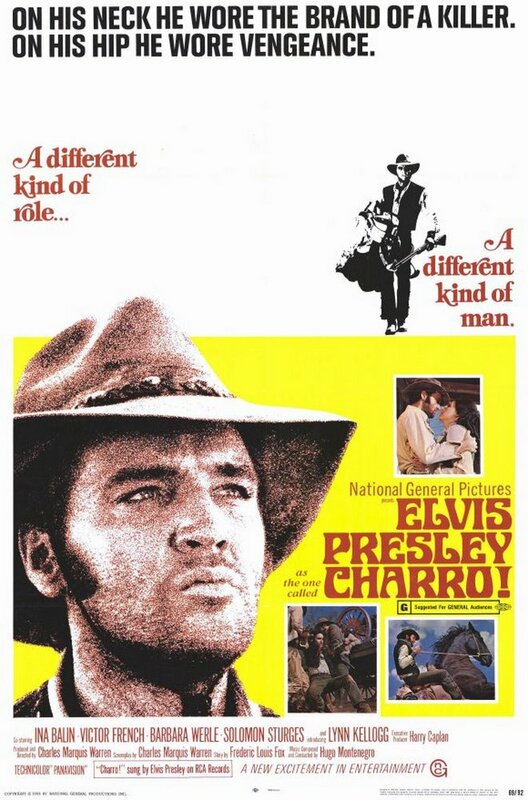 Elvis´ character was based on one of those brothers called Clinto Reno (nicknamed ´Honest Clint´) and although he was not charged with any of the crimes that his brothers committed, he could never live as free as he wanted. He died on Sep. 20, 1921. A year before Love Me Tender there was another movie on the Reno Brothers called ´Rage At Dawn´ starring Randolph Scott. I checked the German Heyne-Book “Der schmutzige Job”. The content of the book has nothing to do with the movie. It is a complete other story. Also the used names in the book are other ones as in the movie. 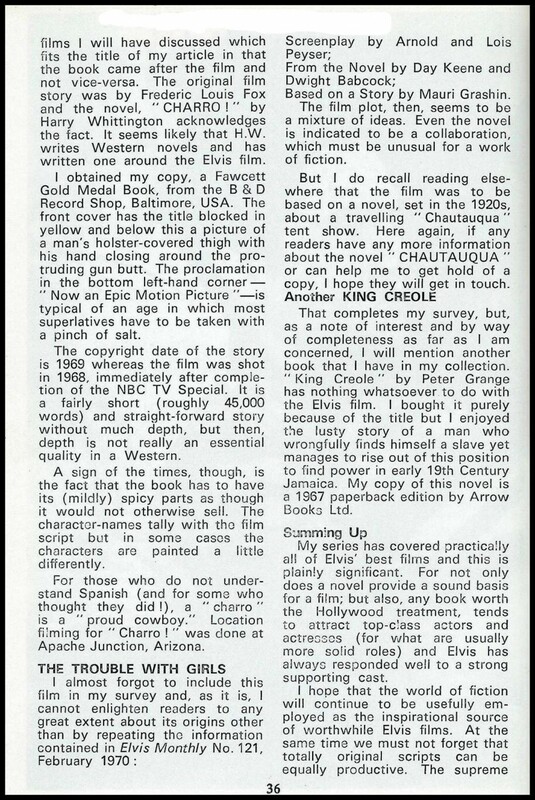 Stephan … the text reads “we can see that the cover chosen for the first edition US paperback was used for a different western title in Germany”. The coverdesigns were mixed up. Thanks for your input Stephan! Got a few of the books myself (f.i. Pioneer Go Home). Thanks Erik … always nice hearing from you. Fantastic story by Stephen Morse … and what a great addition to this topic … fantastic! Still I believe that this topic, along with the well written story by Stephen Morse, make it a Top Notch researched one. The added information goes very well with Morse his story, like the movie Change Of Habit that is based on the story of Sister Mary Olivia Gibson, who worked with children afflicted with speech handicaps. A topic that deserves the attention. 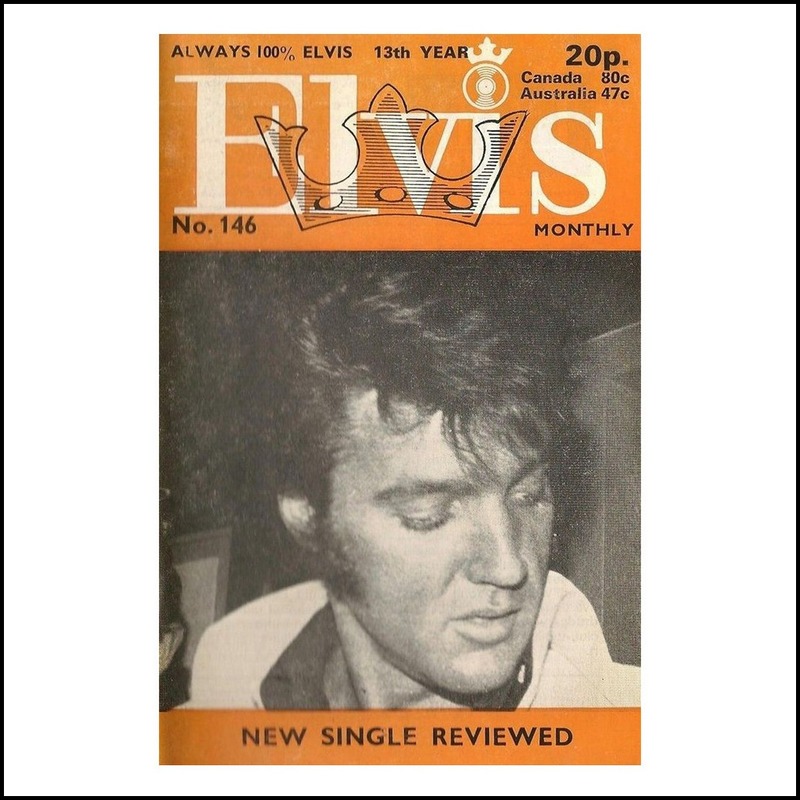 You might want take a look at my article in the latest Official Elvis Presley Fan Club Magazine (August/September 2015), “Literacy, Elvis Style”. Your article is top notch! Good. Well done, another superb article. Great article. 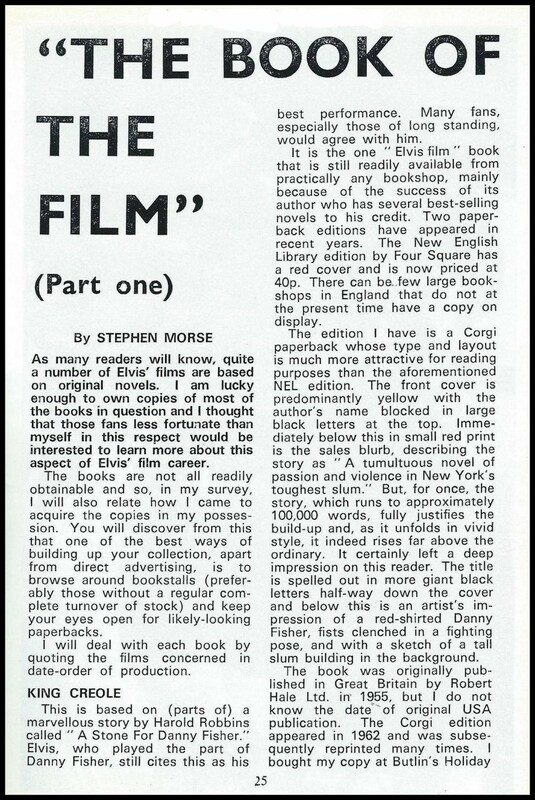 Interesting text and a wonderful collection of scans. Many thanks. Great article! Special thanks for the scans from the magazine! 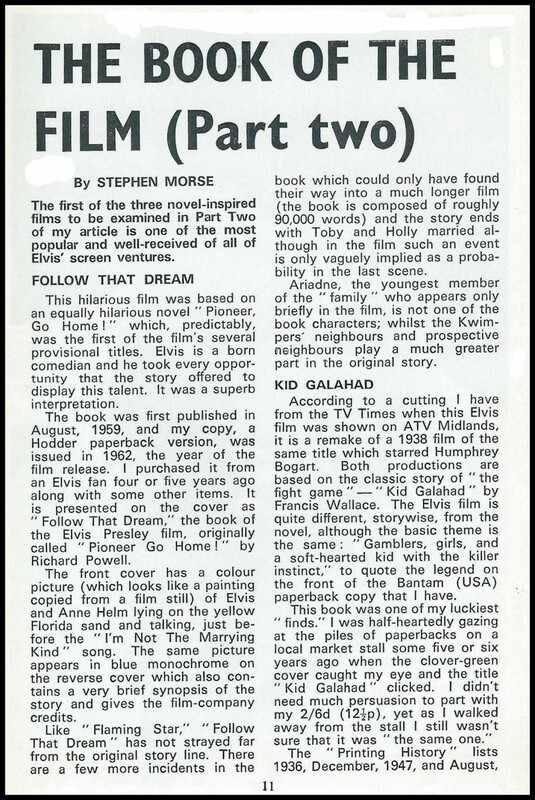 You miss out the best of all… “Pioneer Go Home” which became “Follow That Dream”, one of the best books I have ever read. 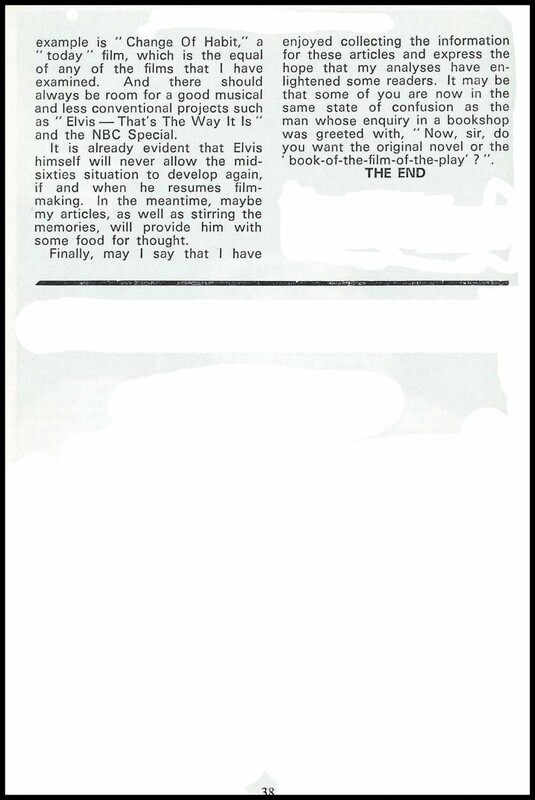 Elvis’ portryal is very close to the book, though the story deviates a little.